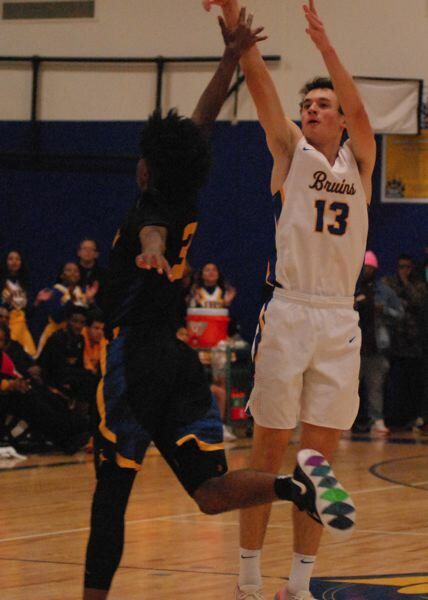 Jefferson guard Marcus Tsohonis could only turn and watch as his tying layup attempt rolled off the rim and was swatted out toward the 3-point arc. 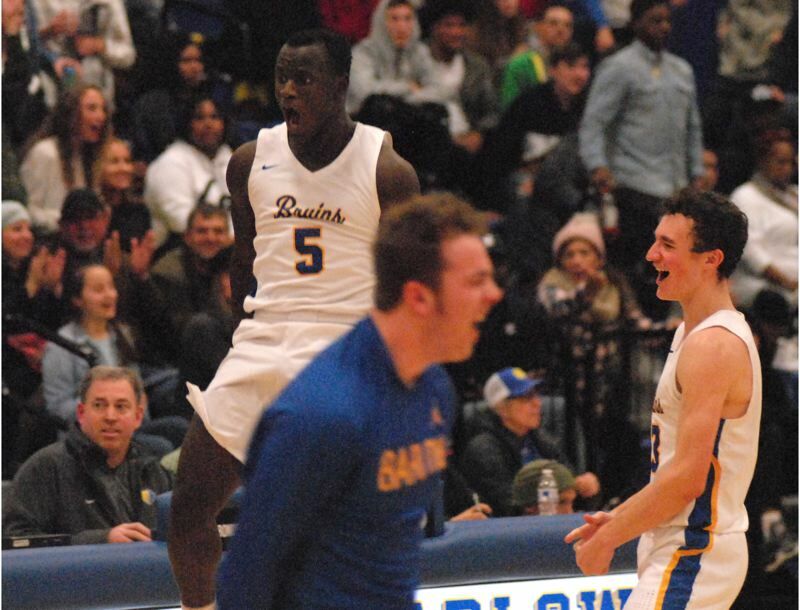 Barlow's Charles Ndayizeye as the first one to reach it, scooping it off the bounce and taking two dribbles the other way before being grabbed from behind. A desperation foul to stop the clock with 2.4 seconds left. Ndayizeye let out a fist pump before walking to the free-throw line at the far end of the court. A flash of emotion that showed how big this win was for the Bruins. Not only beating the No. 1 team in the preseason coaches' poll, but also avenging Barlow's loss in the 6A semifinals last March. But Ndayizeye knew there was still work to be done. He stood stoic as a statue at the stripe, calmly swishing both shots before spinning back to play defense. Jefferson got off a meaningless half-court heave that went wide at the horn, and Ndayizeye took a big leap into the air as Barlow's Superfans flooded the floor. "Our Superfans bring the energy and that gives us a good vibe," Ndayizeye said. "With everyone up jumping and screaming it gets us playing until we hear that final buzzer go off." The Bruins took several minutes to celebrate with their classmates, but turned business-like on their way to the locker room. After all, this was only game two of the season. There are still three months ahead before a potential state tournament rematch at the Chiles Center. "This is a nice one to get, but this wasn't for a state championship or anything," Barlow senior Jesse White said. "It's a big win, and we need to carry the momentum on from here." The Bruins host a four-team tournament Friday and Saturday before traveling to No. 3-ranked Lake Oswego next week. From there, Barlow returns to the elite Les Schwab Invitational over Christmas Break. The Bruins also take on No. 6 West Linn at the Martin Luther King Day showcase event in January. "Jefferson has such a great reputation, this is a nice win to get," Barlow coach Tom Johnson said. "But it's early in the year, and we still have work to do — our focus is on continuing to get better."